A 27-year-old man critically injured in a Mother’s Day fight outside a Pacific Beach bar has died, and police Sunday renewed their call for information that could lead them to his assailant. Steven Kyle Wood was knocked unconscious and sustained head injuries and after he became involved in a fight between several other men around 2 a.m. on May 11 as he and a roommate were walking home from the Tavern Bar in the 1100 block of Garnet Avenue, authorities said. 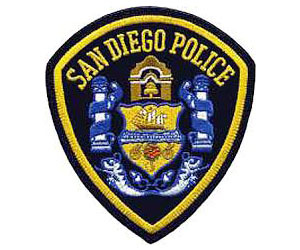 San Diego police Detective Greg Goodman said someone came up behind Wood and punched him, which prompted him to square off to fight and exchange words with the assailant. The alleged assailant then walked away with friends west across Garnet Avenue, but Woods followed and ran up to him in the intersection. A crowd gathered around them and when it dispersed, Wood’s roommate saw him lying in the street unconscious, according to Goodman. The victim was taken by ambulance to the hospital, where he underwent surgery, police said. Wood’s condition worsened as he remained hospitalized and died of his injuries Friday night, according to San Diego police Lt. Manuel Del Toro. The autopsy found that the injuries inflicted in the fight caused his death, the lieutenant said. Del Toro said homicide detectives had taken over the investigation and were following leads, but could use any additional information. He asked anyone with knowledge of the fight to call police at (619) 531-2293 or Crime Stoppers at (888) 580-8477.